Breyer Stablemates set is a toy figurine playset, a horse figure collector's item, and an educational horse science toy - all in one colorful shadow box. 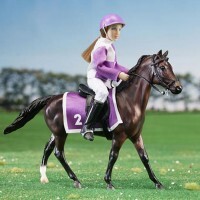 Young horse lovers will be delighted to receive not one, not two, but the whole collection of toy figurines! 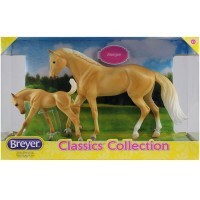 Children can start their Stablemates horse figure collection with this beautiful horse breed toy set from Breyer, the most prominent horse toy manufacturer. 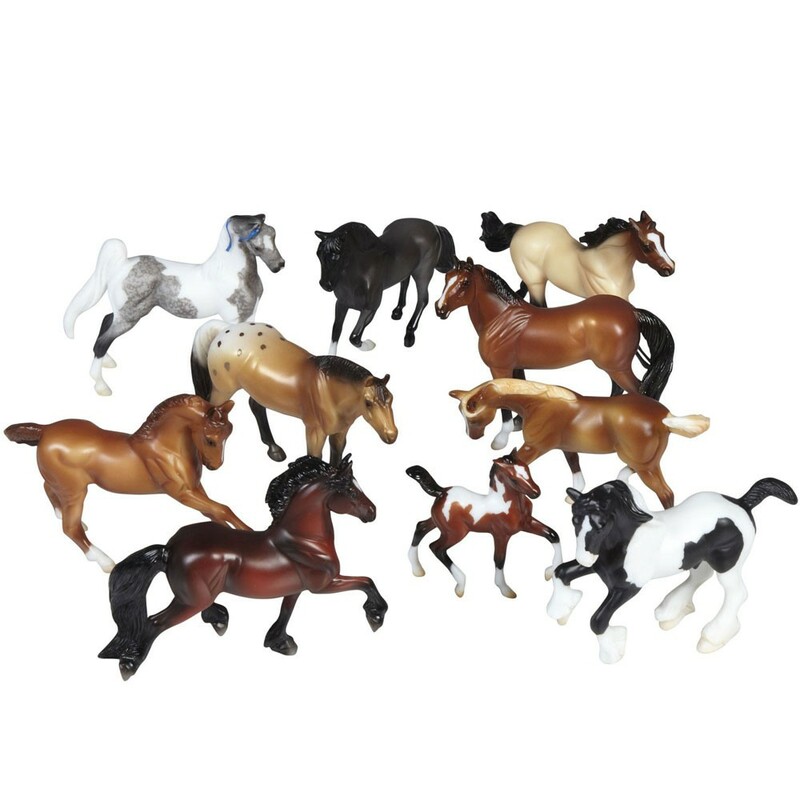 Breyer Stablemates Horse Breeds Collection - 10 Figurines Shadow Box Set is a toy figurine play set, a horse figure collector's item, and an educational horse science toy - all in one attractive colorful box. 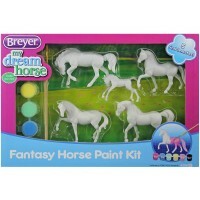 This horse play set comes complete with 9 different horse breeds. 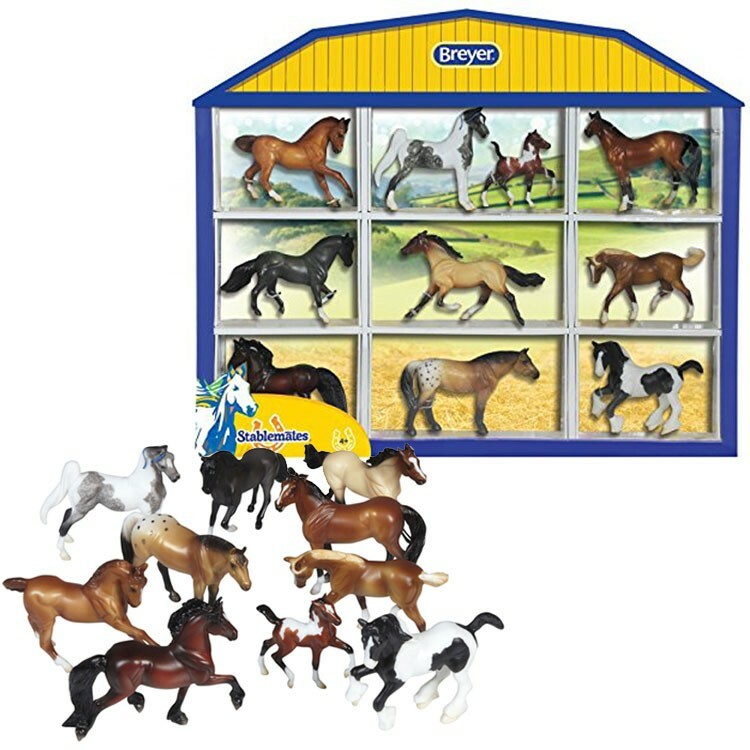 The illustrated background of the shadow box becomes a tabletop stand or hang like a wall frame to display for your toy horse collection. 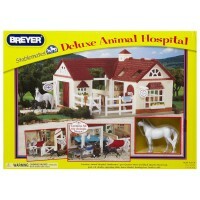 The shadow box is divided into perfectly sized sections. 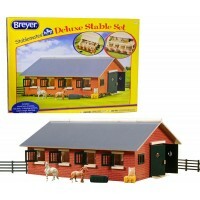 The back side of this display box has information about each horse breed, its special features, and photograph of the real horse. 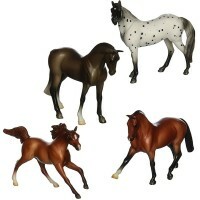 This Stablemates horse breed toy set from Educational Toys Planet includes 9 horse figurines and 1 toy foal. 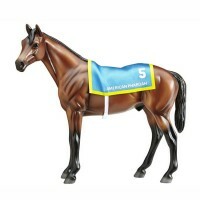 an stand on a table or hang like a picture. 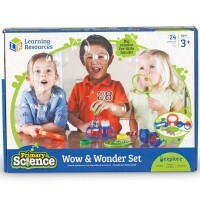 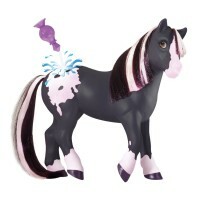 This toy collection is perfect gift for horse crazy girls or boys, or for kids who love to play with animal figures. 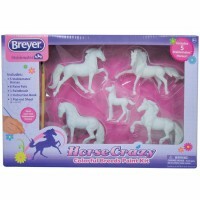 Dimensions of package 1.75" x 15.25" x 13"
Write your own review of Breyer Stablemates Horse Breeds Collection - 10 Figurines Shadow Box Set.